You may have dozens of online accounts, and each may be with a unique password. You may create different passwords for different accounts. Some passwords are simple but other complex. It’s hard to remember all different passwords to different accounts, so many people choose to create the same password to different accounts. However, it is a big risk as the hackers or cyber criminals can guess the password, and all your different accounts will be in a danger of being hacked. Complex passwords are difficult to remember, so many users have defaulted to passwords like “password,” “abc123,” their pet’s name and other easily guessable or breakable naming conventions. And in a world where the size of password breaches can number in the hundreds of millions or more, it’s plausible that your passwords may already be floating around the seedier corners of the internet. Reusing passwords is bad because if, for example, a hacker gets control of your Netflix or Spotify password, they can then use it to get into your ridesharing or bank account to drain your credit card. Even though our brains aren’t actually that bad at remembering passwords, it’s almost impossible to remember dozens of unique, strong passwords. It is important to create different passwords to different accounts. Therefore, it is essential to use a unique and strong password for every site. A strong password helps protect the information you keep on your accounts – from your banking details to your email to your favourite online shopping sites. You should have a different password for every online account – this means that if someone does manage to get your password, they won’t be able to access the rest of your online accounts. Along with a strong password, you should also use Two-Factor Authentication on every account you can. However, it would be a big chaos for us to remember all password. So how can we remember all these passwords? You don’t need to remember all passwords as that’s what a password manager should do for you. A password manager is an app—essentially a digital safe—that keeps all your passwords secure and helps you create different, strong passwords for each one of your accounts. How can a Password Manager Help Store All Your Password? Password managers don’t only keep you safe: They also simplify your life. Instead of typing passwords, many password managers will autocomplete forms, and on phones, you can copy-and-paste them from the password manager app to the service you’re trying to login to. Almost all password managers essentially work in a same way that you have to create a master password for access to your identity vault, and then the password manager fills in individual user IDs and passwords for the sites and apps your use. Most password managers employ multifactor authentication, so access to your credential vault is granted only with both a correct password and a correct authentication code. That code exists only on a device you own, limiting the ability for someone across the world to gain access to your information. Master vaults are also usually protected by the vendors by encrypting your password information locally, before it ever leaves your devices. That information is stored, in an encrypted form, on the servers operated by the vendors. In most cases, this is strong enough security. Password Manager even have digital wallet feature which you can store your bank details and then use to make purchases online without having to root around in your pocket or bag for the card number and expiry date. What’s the Best Password Managers for Mac? 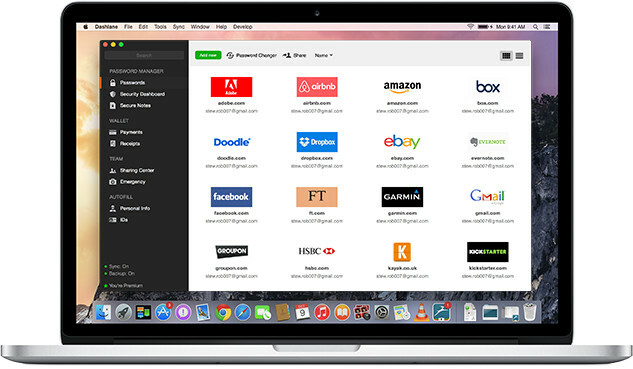 Dashlane is one of the world’s leading Password manager and password generator. More than 10 million users from 180 countries are using Dashlane. Dashlane works across your smartphone, tablet, and computer to provide some significant upgrades to your digital life. You’ll be able to store, manage, and change passwords all in one place, and automatically fill out forms and payment info with just a click. Sync all your work and personal devices to log in easily everywhere. It features in password manager, form autofill, digital wallet, password generator, password changer and security. for personal use, Dashlane provides Free and Premium plan; for business, it also provides simple, secure password management for business of all sizes. With 30-day FREE premium plan, you can enjoy unlimited password and data storage on your favorite device, security monitoring services and breach alerts, password changing instantly, generating and saving strong, unique passwords. With Premium plan, you not only enjoy all features by FREE plan, but also can sync passwords and data across devices, secure account backup, unlimited password sharing, priority VIP support, support for authentication with Yubikey (U2F). Premium plan asks for $3.33/Month, billing annually. Dashlane also offers 30-day money-back guarantee. LastPass is the number 1 most preferred password manager. LastPass keeps your information private, secure, and hidden even from employees of LastPass. 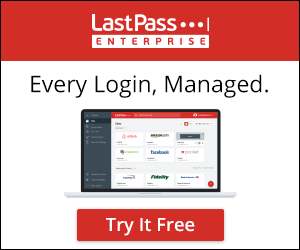 LastPass provides apps and software working with Mac, Windows, Android, iOS, Linux. it also has browser extension compatible with Chrome, Firefox, Safari, Internet Explorer, Microsoft Edge and Opera. LastPass features in password manager, password generator, username generator and LastPass Authenticator. LastPass uses the best-in-class encryption AES-256 to encrypt all your information and password. For personal use, LastPass offers Free, Premium and Family plan. Premium includes everything in Free, plus one-to-many sharing, emergency access, advanced multi-factor options, priority tech support, LastPass for applications, 1 GB encrypted file storage. With Families plan, you not only can enjoy all features of Premium, but also plus 6 premium license, group and share items in folders, family manager dashboard. If you want to test LastPass features, you are suggested to start LastPass free trial. For personal use, it starts $2/month for Premium; $4/month for Families. For business, it separately starts $2.50/month for Teams and $4.00/month for Enterprise. – Plan ahead and give trusted family or friends a way to access your vault in case of an emergency. – Add security and require a waiting period during which you can decline an Emergency Access request to your vault. – Once access is granted, your vault syncs as a folder to their vault. LastPass never has the key to your encrypted data, so your information remains safe. Your vault is encrypted with bank-level, AES 256-bit encryption. RoboForm is available for Windows, Mac, iOS, and Android with support for all their respective major browsers, including Microsoft Edge. RoboForm generates stronger passwords and store them to log in with a single click. Keep your passwords organized – Folders and powerful search functionality RoboForm uses AES 256 bit encryption with PBKDF2 SHA256. RoboForm also supports TOTP based authentication apps including Google Authenticator, Authy, and Microsoft Authenticator. RoboForm uses Two-Factor Authentication (2FA) to add an extra layer of protection to your account. The RoboForm Everywhere secure cloud keeps your passwords backed up and in sync across all your browsers and devices. RoboForm supports multiple platforms and all popular systems including Windows, Mac, iOS, Android and all major browsers including Microsoft Edge, Chrome, Firefox, Safari and Opera. For personal use, RoboForm provides FREE, Everywhere and Family plan. 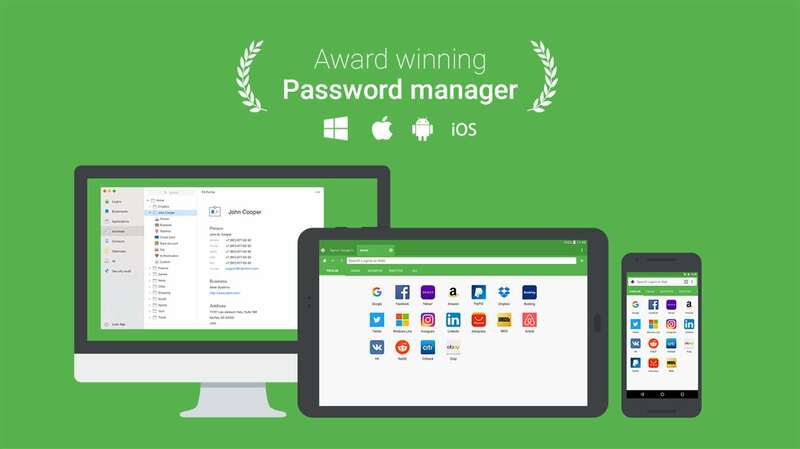 you can enjoy unlimited logins, fill web forms, multi-platform support, strong encryption, password audit, securely send logins, receive emergency access, application logins, manage bookmarks, sync across all devices, cloud backup, Two-factor authentication and more. you can benefit 5 everywhere users, sync across all devices, account data backup, share logins securely, premium 24/7 support in Family Plan. Sticky password is a privacy-focused password manager. Sticky Password manages all your passwords and personal data. it automatically fills in forms for you, generates extra-strong new passwords, whenever you need them, and stores credit card numbers for express checkout. The data encryption used in Sticky Password is based on the world’s leading encryption standard AES‑256 – the same data encryption used by military and government organizations. Sticky Password uses State‑of‑the‑art biometric authentication: fingerprint scanning to identify the account holder. Sticky Password supports fingerprint authentication on iOS and Android phones and tablets that are equipped with fingerprint scanners. This includes Touch ID on iPhones and iPads, and the Samsung Galaxy and other Android devices. Besides, Sticky Password also uses the Two-Factor Authentication (2FA) to increase the security of your data. when Two-Factor Authentication standard is activated, you will be prompted to enter an additional unique security code after entering your Master Password each time you unlock your database. Sticky Password works on your PC, Mac, Android / iOS tablets and smartphones and all major browsers including Internet Explorer, Microsoft Edge, Chrome, Firefox, Safari and Opera. Sticky Password offers Free and Premium plan. $29.99 for 1 year or $149.99 for Lifetime license in Premium deal. Keeper creates best-in-class password management and digital vault software to protect businesses and consumers from cyber theft. Keeper password offers best-in-class and high-quality password management. Keeper is the leading secure password management solution for businesses and individuals. Keeper utilizes world-class security to safeguard your information from hackers and cyber criminals. Keeper is fanatical about protecting your information. Keeper generates strong passwords, auto-fills passwords across your apps and sites with KeeperFill™ and organizes passwords on all platforms and devices. Keeper protects your information with 256-bit AES encryption and PBKDF2, widely accepted as the strongest encryption available. Besides, Keeper utilizes Amazon AWS to host and operate the encrypted cloud Security Vault providing customers with unlimited secure backups. Keeper offers plans for Individual, Family and business. $29.99/year for individual, $59.99/year for Family (up to 5 people). Popular hardware-based security key devices such as YubiKey can be used with Keeper to perform multi-factor authentication without the need to manually enter separate access codes. Keeper’s multi-user password management software can ensure your passwords are always protected and safe from system intrusion. All these 5 recommendations are well-known password managers and trusted by millions of users all around the world. They are reliable and powerful password managers. Password manager implements AES-256-bit encryption with PBKDF2 SHA-256 and salted hashes to ensure complete security in the cloud. You’ll create an account with an email address and a strong master password to locally-generate a unique encryption key. Your data is encrypted and decrypted at the device level. Data stored in your vault is kept secret. Two-factor authentication (sometimes referred to as multifactor or 2FA) adds extra security. all these first-class password managers use the Two-factor authentication standard to protect all your password and data.